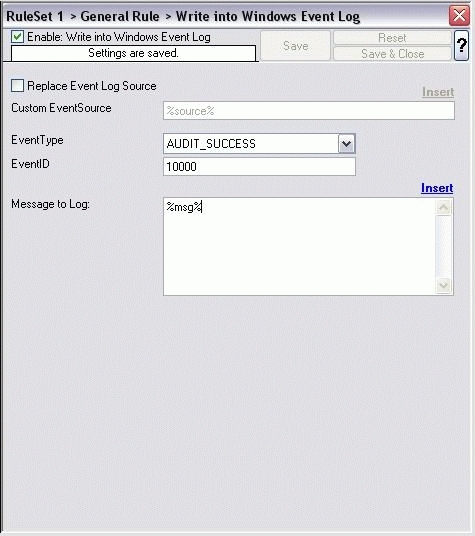 It is used to configure the logging to the Windows NT / 2000 or XP event log. It is primarily included for legacy purposes. To view details about this feature please refer to online manual of EventReporter.